The Ridge Outdoors Packin Tee is great this time of year. Pre-shrunk and made with 100% cotton, the Packin Tee is very comfortable. I love having the extra length also to make sure the shirt doesn’t come untucked. Having the Packin Tee tucked in is important while carrying because it helps keep my favorite weapon from flopping around while I move. Even if you don’t carry, you can wear the Ridge Packin Tee under your shirt and stow your wallet or cell phone in one of the accessory pouches. The Kakadu Traders Australia Aviator jacket is one of our best sellers. And why not? 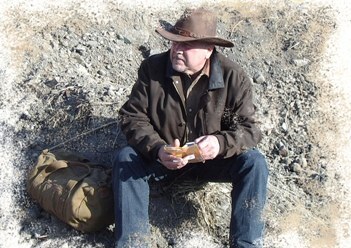 The same folks who manufacture the very popular Kakadu clothing have outdone themselves with a bomber jacket that allows those with a conceal carry permit to comfortable and fashionably carry their favorite weapons. The large angled pockets allow the user enter the pocket at the top and then swipe downwards in a rapid motion and then gripping the weapon. When riding an ATV you must always be cautious. ATV’s are not toys. Serios injury can result from improper use of ATV’s, but with preparation and practice, you can safely develop and expand your riding skills. 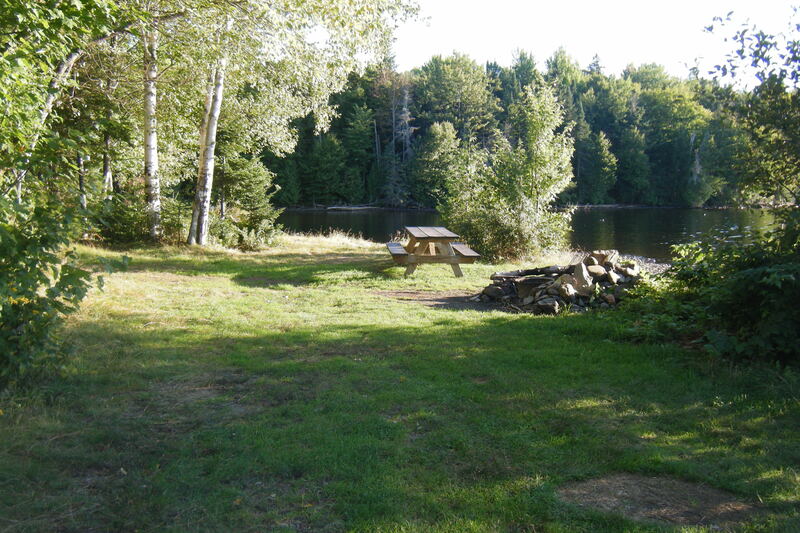 Riding ATV’s can be an enjoyable form of outdoor recreation when done properly. When I ride I wear my Kakadu Delta CC Vest. You never know what you are going to run into on the trail. Leather experts who want to keep their prized boots, bags, shoes, belts, chairs, harnesses and saddles in top condition need saddle soap. Not only does it clean away grime and grit that dull leather’s luster, but it also supplies the oils and waxes essential for long-lasting suppleness and protection. In the steel or tempered-glass pot, combine 6 ¼ parts beeswax, 10 parts pure flake lye and 10 parts water. Caution: Pure flake lye can be harmful. It can burn and corrode skin, clothes and furniture, so be careful! Boil this mixture for five minutes, stirring constantly with the stainless steel spoon. Next, in the second pot, melt 2 parts castile soap shavings with 10 parts water, mixing them with the well-rinsed spoon. When the soap liquefies, add it slowly to the lye-and-beeswax mixture, blending evenly until fully combined. Next, remove the pot from any heat and stir in 15 parts of turpentine. (Watch out: Turpentine is highly flammable.) Pour immediately into containers; cover and keep in a cool, dry place. The soap can be kept indefinitely. If you prepare the recipe with one part equaling one tablespoon, you’ll have enough to fill four 8-ounce jars. When you use the saddle soap, have two soft flannel cloths on hand. Soak and wring out one until almost dry, dip it into the soap, and rub the leather with a firm circular motion. Rinse that cloth in warm water, wring out, and then use it to remove any excess lather. Use the second dry cloth to polish the leather to a soft luster, and say goodbye to ugly-looking leather goods! 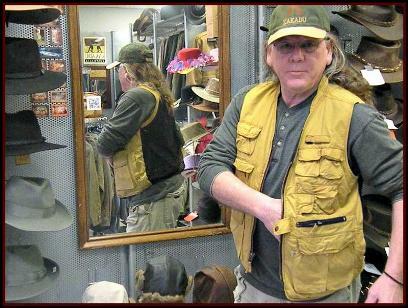 Kakadu Traders Australia is still adding to their Gunn Worn Conceal Carry collection of canvas conceal carry vests and jackets. They started with the Kelly vest which was originally made with a 10 ounce canvas material. The new Kelly 12 is made with a heavier 12 ounce canvas. They recently added the lighter weight Gibson Conceal Carry fishing vest, the 12 ounce Delta Conceal carry vest featuring 13 outside pockets, the Traveler Conceal carry oilskin vest as well as the quilted oil skin, flannel lined Hoover Carry vest. 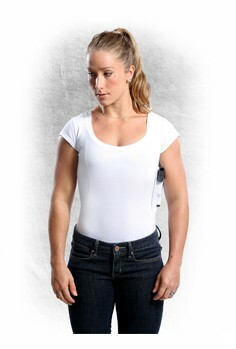 The newest style to be introduced is now the Barramundi Carry vest. At Lorsey.com we are proud resellers of Kakadu Traders Australia products since 2008. The Ridge Outdoors company in Florida has done a great job with their tactical boots and motorcycle boots. Ridge has also branched out to the conceal carry customer with the Ridge Outdoors Packin’ Tee. 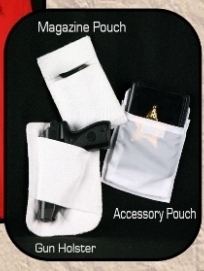 Thousands of customers are already wearing this with their holster pouch but there are also those customers who wish they had purchased either the magazine pouch or wallet accessory pouch to go with it. I just want to let everyone know that you don’t have to buy a new shirt to get an extra accessory. At Lorsey.com we sell all of the accessories individually. Structured to fit into the hollow of the stomach just under the ribs and before the hip bone. The system is built using heavy gauge elastic shaped and mounted onto reinforced nylon which covers the full front panels. These panels are then caught into the shoulder and armholes reducing the dragging caused by the weight of the weapon and clips. 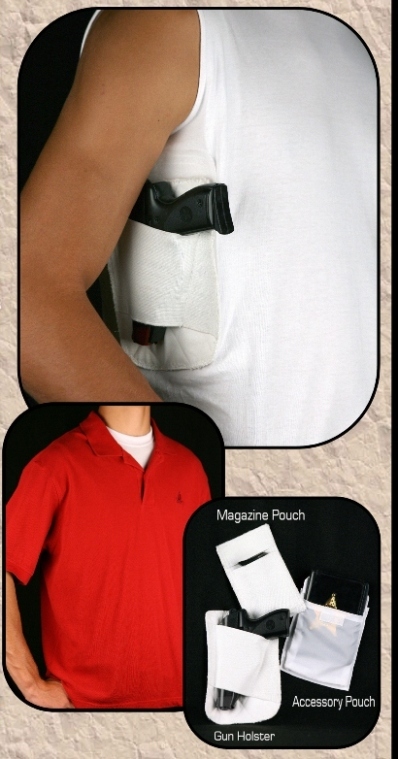 Entry to the concealed pocket has been designed for security as well as fast action. The large angled pocket opening with a hook and loop tab closure allows the user to enter the pocket at the top and then swipe downwards in a rapid fashion forcing open the pocket while in the same motion gripping the weapon. The system is mounted on both side of the garment. New concealment vestsand jackets will be available from Kakadu Traders Australia. The Aviator is a classic design with classic worn Kakadu flavor. Built for cooler climates, the Gunn-Worn Aviator is built out of washed 12oz gravel canvas and features washable cowhide collar, brass zip closure, covered by a snap down front placket. Large bellow patch pockets cover riveted hand warmer welt pockets. It is full fitting with added back pleats for ease of movement, elasticated waist band and adjustable cuffs with the Kakadu stencil printed cotton lining and two internal security pockets. The Gunn-Worn Aviator comes with our CCIS incorporated which is designed for swift easy entry. Removable concealment shields for extra flexibility. This Kakadu Aviator model is currently only available in color espresso.